What do you do when Mother Nature doesn’t cooperate? Load up the sleds and hit the road! That’s exactly what the Boondockers crew did during the winter of 2011-2012, logging thousands of miles chasing storms and exploring new locations. This winter the riders pushed further into the backcountry in search of deep snow and technical terrain. What resulted are the most incredible shots we’ve ever captured on film. New locations filled with endless canyons of untracked powder, pristine river valleys, and rugged mountain landscapes set the stage for a film that is all about pure backcountry snowmobiling and those who live for it. Watch as riders take lightweight turbo sleds to new levels, re-defining what’s “possible” with huge air, technical lines, and unbelievable champagne powder. 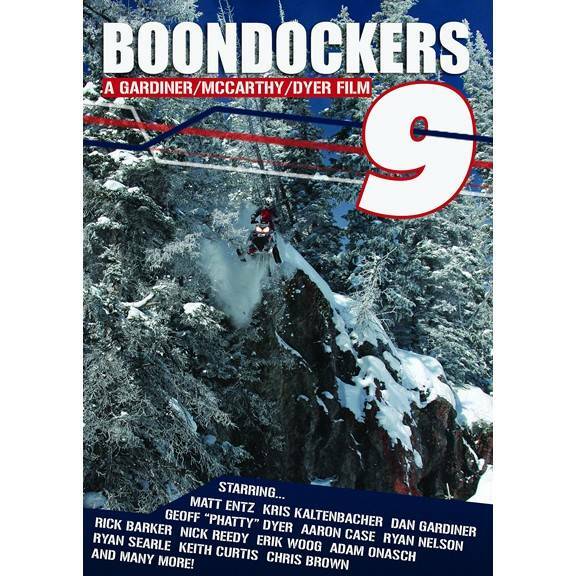 Join the Boondockers crew for an epic adventure through the Rocky Mountains in search of the most spectacular riding conditions. Starring: Matt Entz, Kris Kaltenbacher, Dan Gardiner, Geoff “Phatty” Dyer, Ryan Nelson, Erik Woog, Adam Onasch, Aaron Case, Ryan Searle, Keith Curtis, Cole Wilford, Chris Brown, Chris Burandt, Anthony Oberti, Shane Kynaston, Joe Gill, Stephen Darcy, and Many More… Introducing: Zak Collings, Dawson Eldred, and Cody Case.